Calpulli Mexican Dance Company has developed a new production by Artistic Director Alberto Lopez Herrera and Co-Founder Juan Castaño celebrating the holiday traditions experienced by a young person of Mexican immigrant parents growing up in New York City that will be presented at the Thalia Spanish Theatre from November 30 through December 16, 2018. 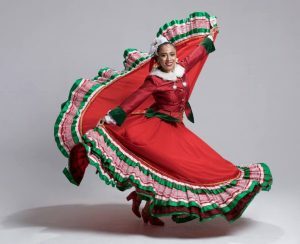 From Aztec-inspired dance to Christmas carols, the youngster tries to bring their two worlds together. 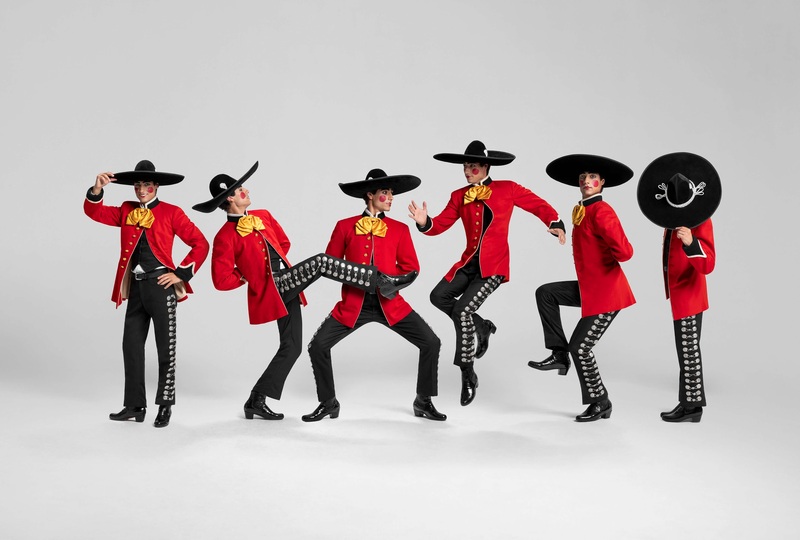 In a dream, they imagine the fusion of Mariachi music with Tchaikovsky, folk dance with ballet, and the wonderment of their two cultures. But a tempting character preaches the separation of these customs, and the youngster must choose. 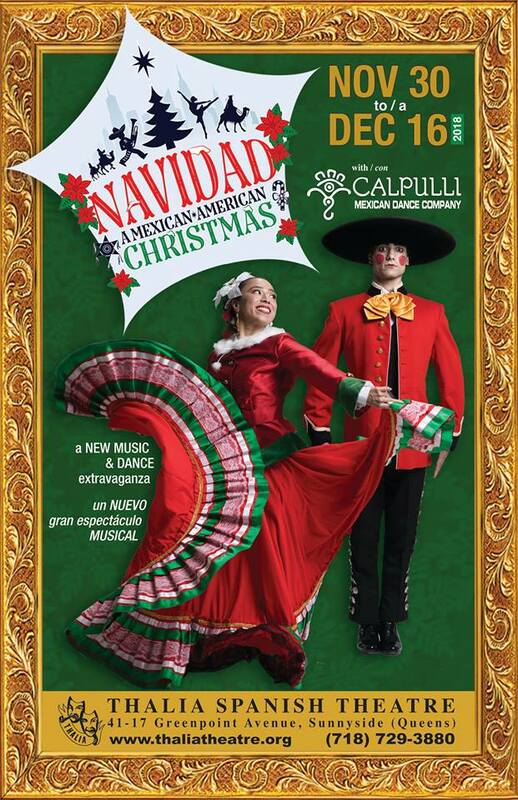 The company of 16 dancers and core of musicians led by Calpulli’s Music Director George Saenz return to the Thalia Spanish Theatre with “NAVIDAD:A Mexican-American Christmas.” The entirely new program tells a story with commissioned works by Mexican and Mexican-American guest choreographers with new musical arrangements and original works. 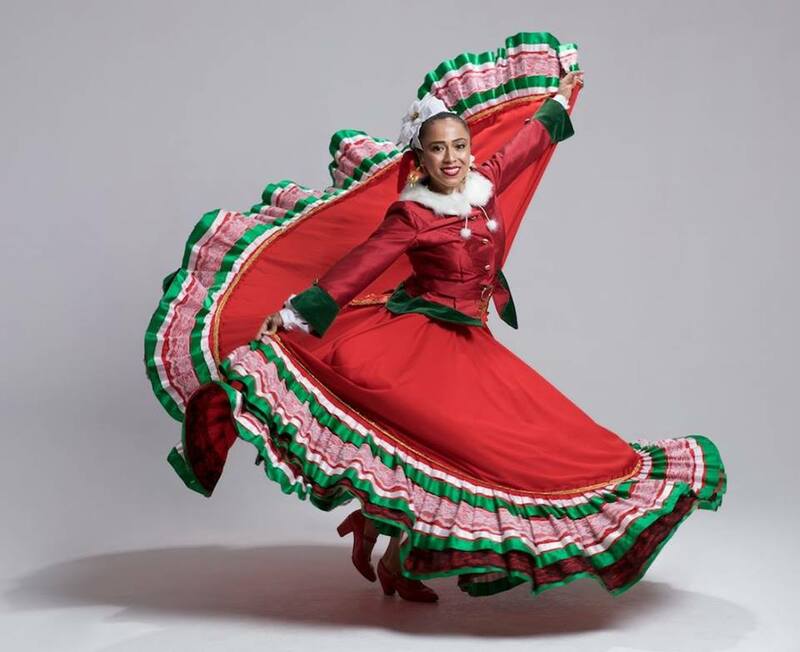 NAVIDAD will feature commissioned choreographic works by Grisel Pren Monje, Rehearsals Director with Calpulli; Francisco Graciano formerly of the Paul Taylor Dance Company; Javier Dzul, Artistic Director of Dzul Dance Company and Mr. Castaño, Co-Founder of Calpulli. 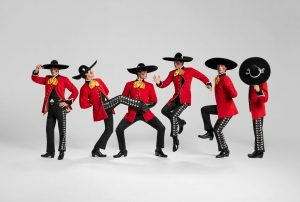 Costumes are designed by Mr. Lopez with additional costume design by Amanda Gladu, Animation and Scenery by Ariel Rodriguez, and Lighting Design by Carolina Ortiz. Angel Gil Orrios, Artistic/Executive Director of the Thalia Spanish Theatre affirms: “CALPULLI’s dancers and musicians are very talented. They are true ambassadors of Mexico’s art & culture. It’s a pleasure and a privilege for us to present a new production after our previous sold-out run. We’re happy our audience really wanted them back, as we say in show business, by popular demand”. 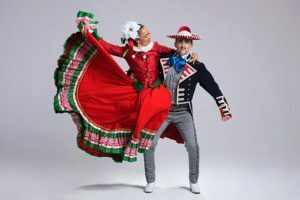 Calpulli Mexican Dance Company marks its 15th anniversary in 2018. The performances will mark the third season between the partners beginning in 2014. Up next for the Company will be the premiere of “Puebla: The Story of Cinco de Mayo” in April 2019, a new work funded by the New England Foundation for the Arts. It will make its European debut in May 2019 in Istanbul, Turkey. THALIA SPANISH THEATRE is the only BILINGUAL Hispanic theatre in Queens, NY serving a community of more than ONE MILLION Hispanics from every Spanish-speaking nation in the world. 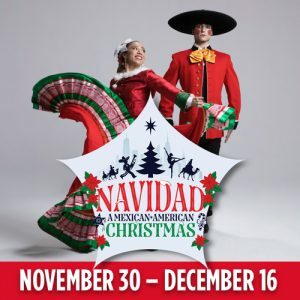 For 38 years its mission has been to celebrate the vibrancy and diversity of Spanish and Latin American culture and heritage with unique productions of theatre, music and dance. Its more than 200 productions have been acclaimed by audiences and critics, receiving 207 AWARDS FOR ARTISTIC EXCELLENCE, including 106 from ACE (the Association of Critics of Entertainment), the 1997 and 1989 ENCORE Awards of the Arts & Business Council, the 1997 NEW YORK STATE GOVERNOR’S ARTS AWARD, and the 2009 MAYOR’S AWARD FOR ARTS & CULTURE. In 2007 its musical production of Maestro Jaurena’s TE AMO TANGO, recorded live at the theatre and released on CD, won the LATIN GRAMMY for BEST TANGO ALBUM. THALIA is under the leadership of the prestigious Spanish Director/Writer/Producer Angel Gil Orrios, producing every season Spanish, Latin American & Hispanic plays with BILINGUAL casts, alternating performances in English and Spanish, musicals, dance programs, workshops for children & youth, and the annual FREE THALIA OUTDOOR FESTIVAL in its local park. This program is made possible with public funds from THE NATIONAL ENDOWMENT FOR THE ARTS, THE NEW YORK STATE COUNCIL ON THE ARTS with the support of GOVERNOR ANDREW CUOMO and the NEW YORK STATE LEGISLATURE, STATE ASSEMBLYWOMAN CATHERINE NOLAN, and THE NEW YORK CITY DEPARTMENT OF CULTURAL AFFAIRS in partnership with the City Council. Additional support provided by THE HAROLD & MIMI STEINBERG CHARITABLE TRUST, THE HENRY & LUCY MOSES FUND, THE SHUBERT FOUNDATION, THE McGRAW FOUNDATION, and HISPANIC FEDERATION. Special thanks to CITY COUNCILMEMBER JIMMY VAN BRAMER, Chairman of the Committee on Cultural Affairs, Libraries and International Intergroup Relations, and to THE CITY COUNCIL CULTURAL IMMIGRANT INITIATIVE. Media sponsors and community partners include El Diario de México, Artist & Craftsman Supply, Dance/NYC, and Spaceworks.